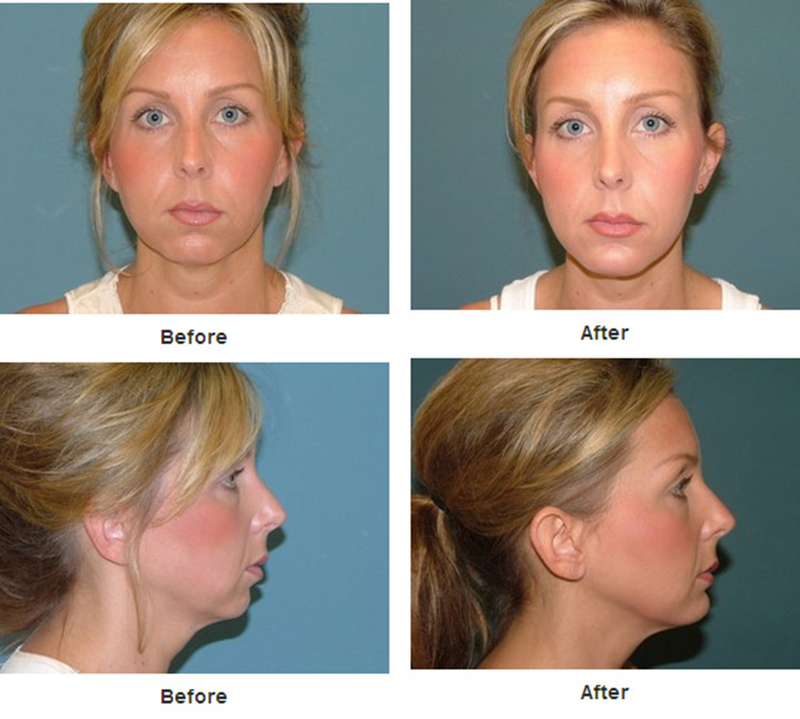 Chin and Cheek Implants Before and After, or mentoplasty, are a way for a patient to re-contour the facial structure. 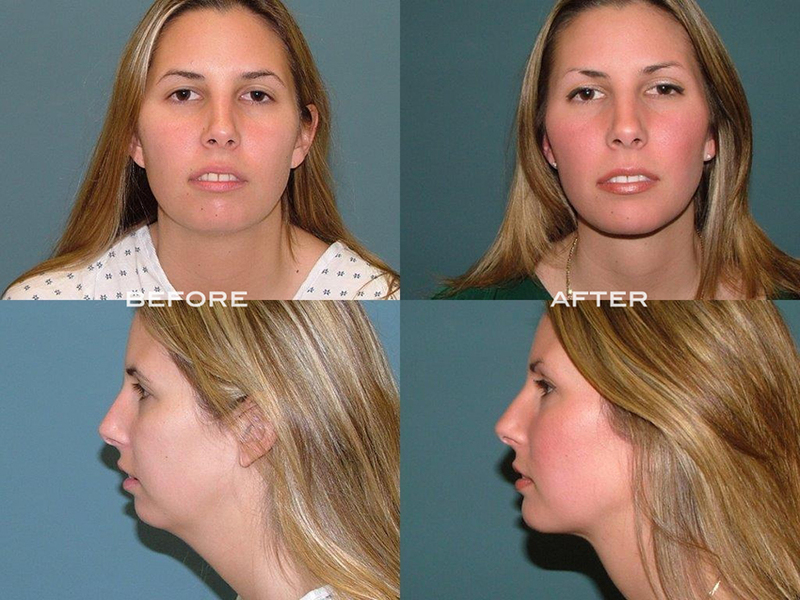 A chin augmentation procedure (also known as genioplasty) is a cosmetic surgical procedure which improves the overall balance of the facial features. 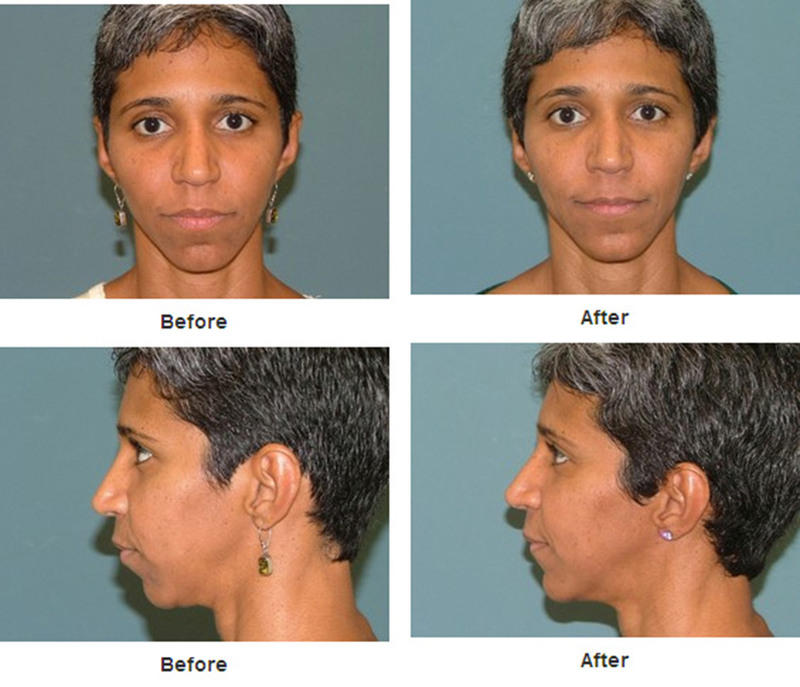 This surgery corrects a disproportionate chin caused by congenital deficiency, age-related bone resorption, or an accident. 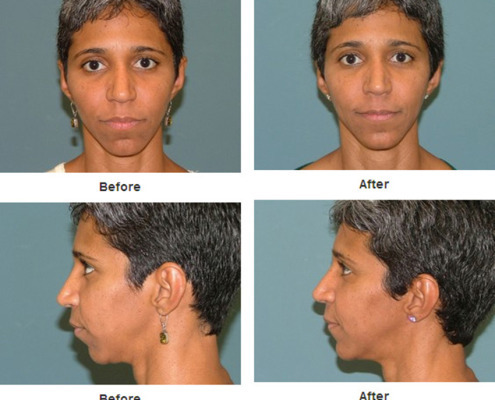 Cheek implants, or malarplasty, add a new ampleness to the face. 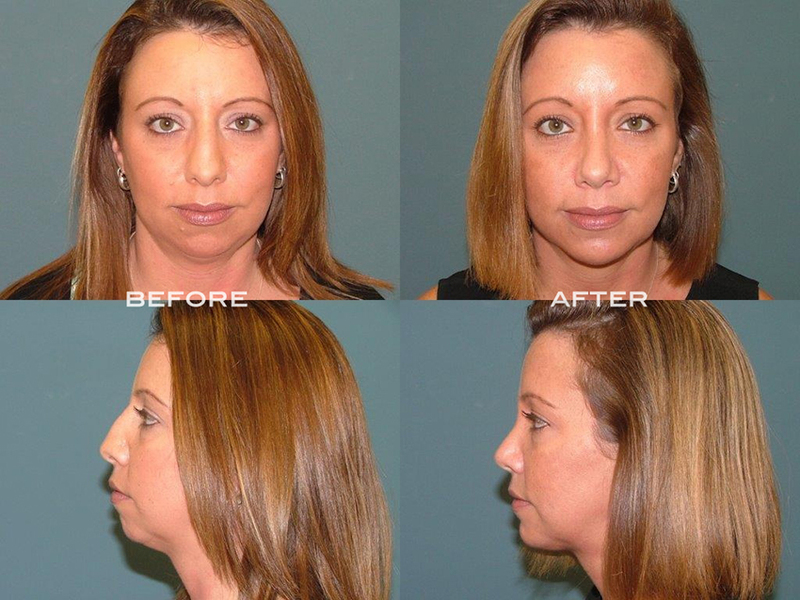 With new cheeks and a new chin, a more balanced and symmetrical face can be achieved giving you a new sense of confidence. 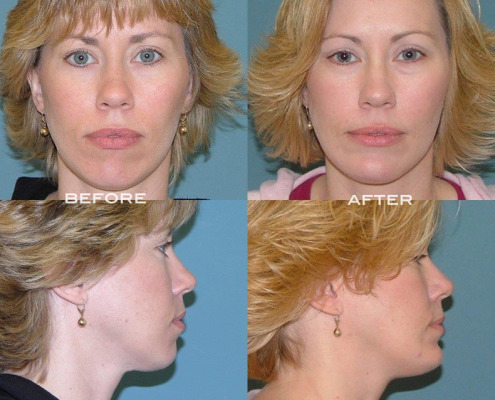 This procedure is performed under light IV sedation, or intramuscular sedation. 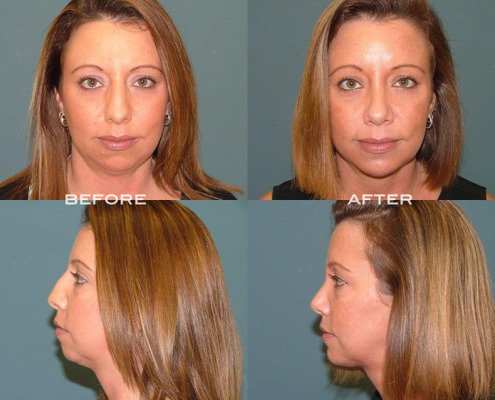 Cheek augmentation involves the insertion of cheek implants through surgery and injections of fat or other dermal fillers. 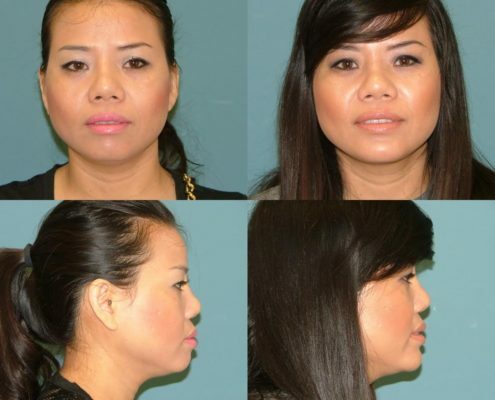 Created to fit each individual’s face, cheek implants include several different types of materials such as silicone and polyethylene. 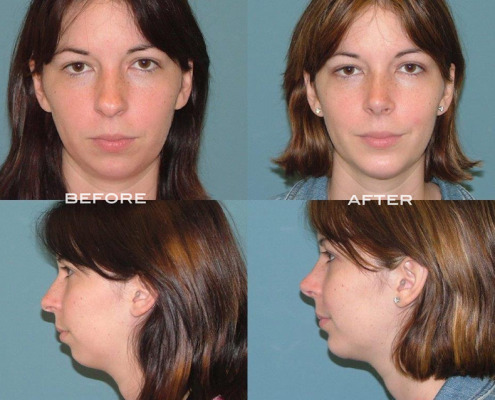 This procedure is generally performed on an outpatient basis, depending on whether other procedures are also being performed. 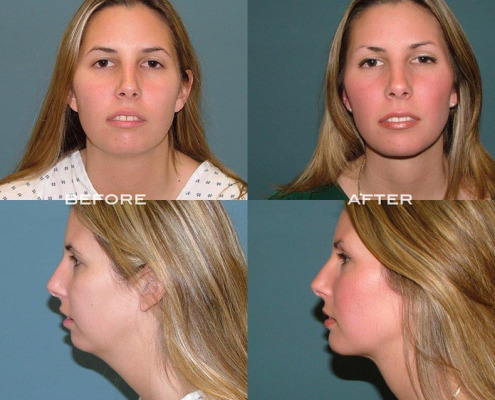 The chin is reshaped through the use of a chin augmentation, an injectable paste, or by changing the shape of the bone to augment the bone structure. 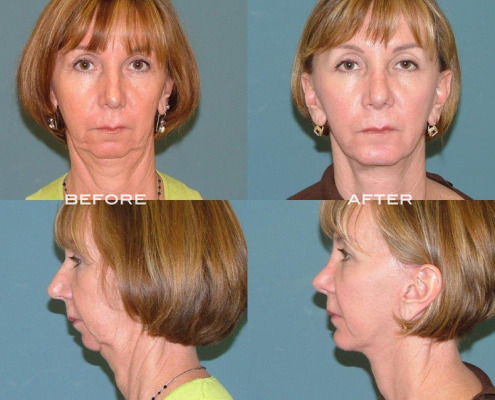 As a result, this makes the chin more or less prominent. 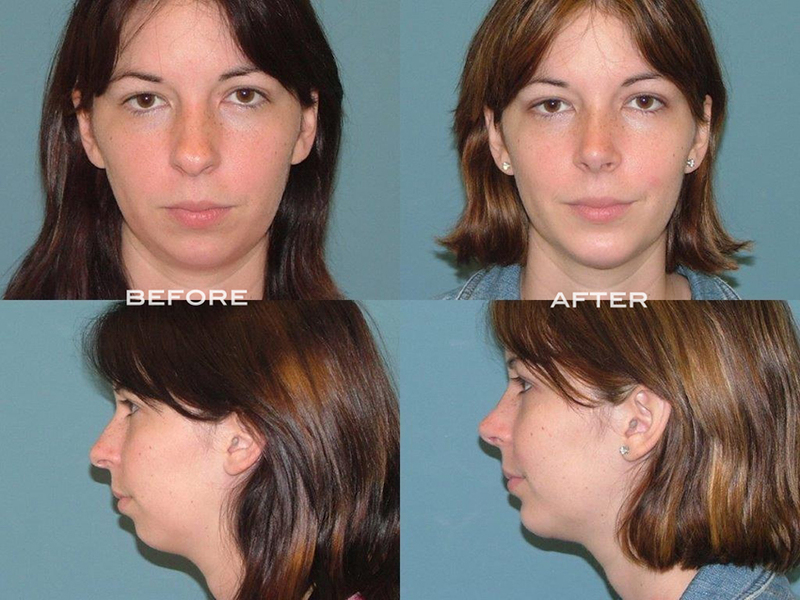 The chin augmentation procedure can be done as a stand alone surgery, or combined with other facial cosmetic surgery procedures, such as Nose Surgery or Rhinoplasty. 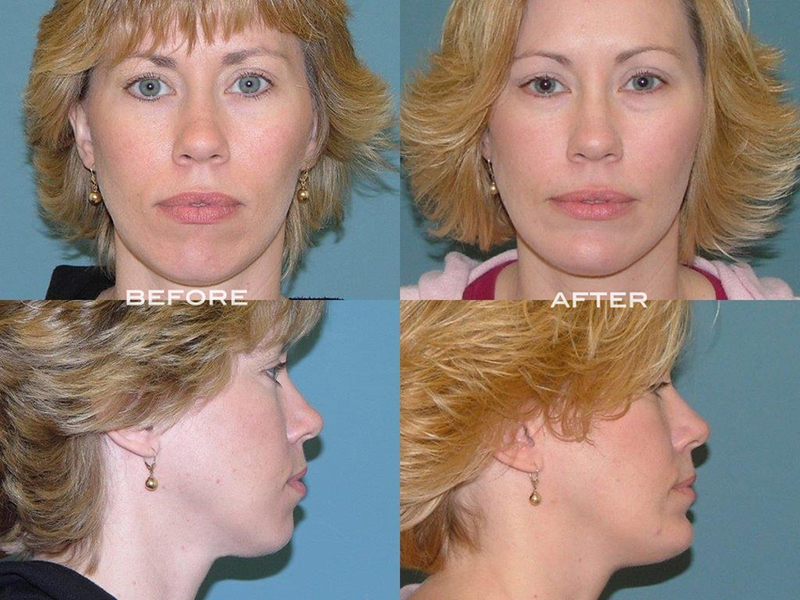 Typically, a chin implant procedure takes about one hour to perform. Patient will recover for about a half-hour after the procedure, and then may go home. 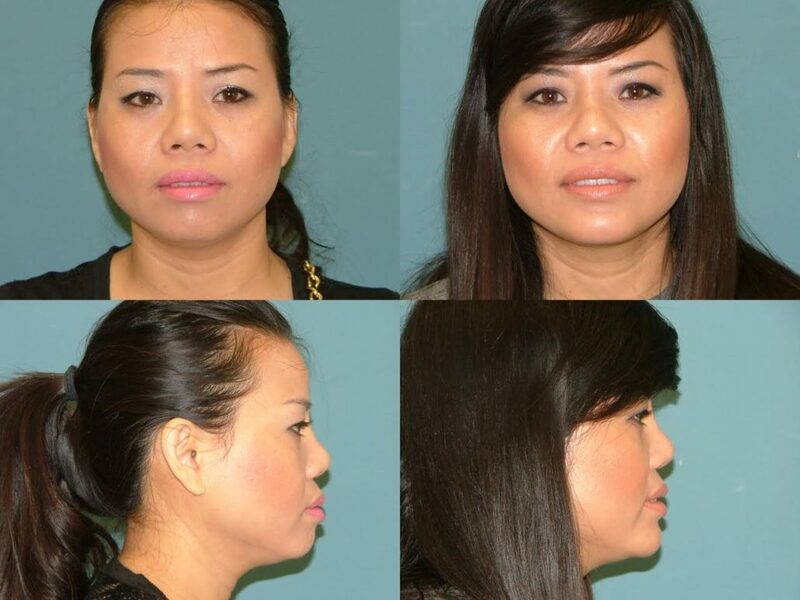 You cannot drive yourself home after the surgery. Consequently, we suggest that you arrange for a ride home with a friend or relative. We are happy to help you arrange for a ride and some overnight help if necessary. Placing bandages with tape in the wounded areas after surgery reduces swelling. After having surgery, the patient needs to stay home and get a lot of rest. A liquid diet might be necessary if the patient is having trouble eating. Patients receive instructions to move as little as possible. Finally, over the counter pain relievers can subdue any minor aches and pains the patient may be complaining of. 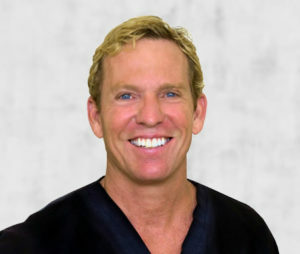 Above all, after chin and cheek implants, patients should follow the directions of the doctor to avoid any post-operation problems. 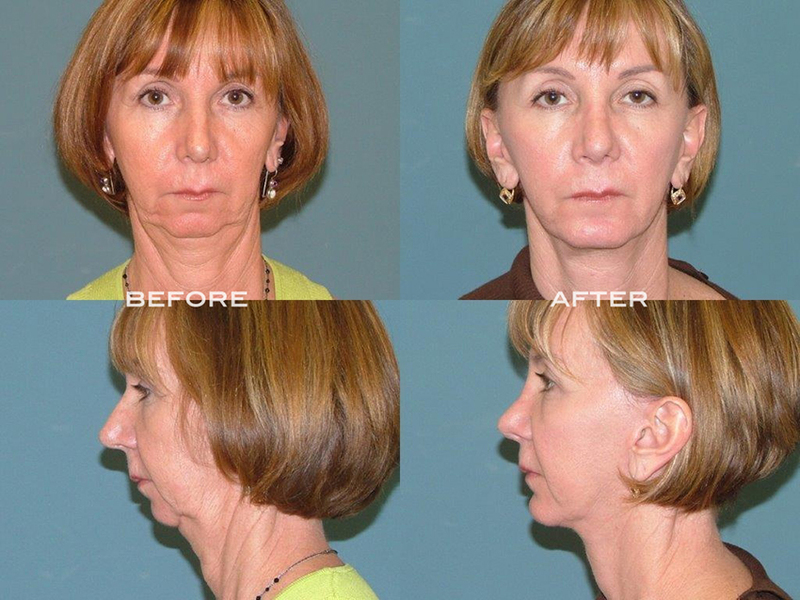 Keeping the head elevated during the initial recovery phase is also important. 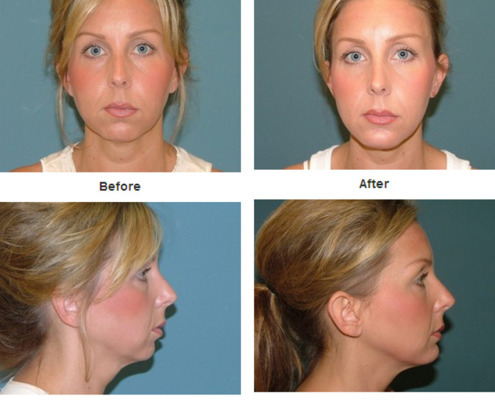 Call us at 1.561.776.9555 for more information on Chin and Cheek Implants.